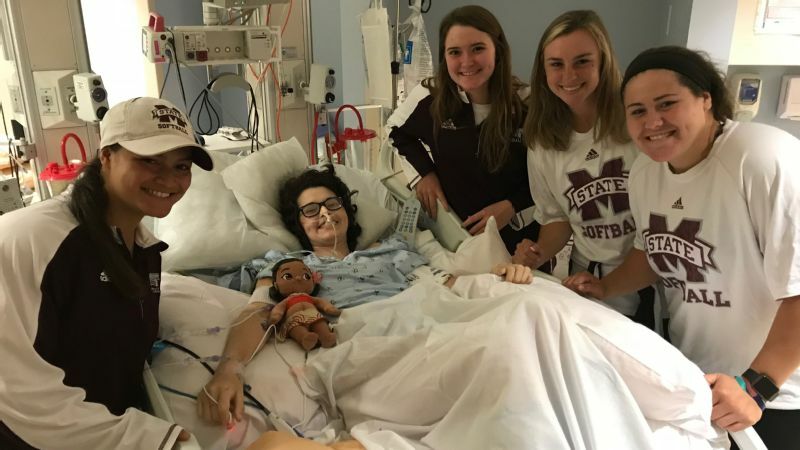 The softball community shows its love and support for Mississippi State freshman Alex Wilcox as she continues her ongoing battle with cancer. 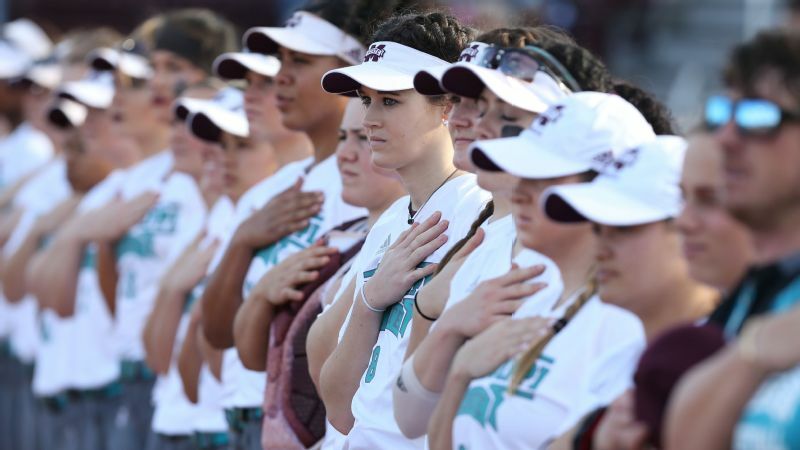 Soon after Samantha Ricketts was hired as a Mississippi State assistant softball coach in 2014, she asked head coach Vann Stuedeman to write the names of the teenagers the program hoped to build its future around. Alex Wilcox's name was at the top of the list. On Ricketts' first recruiting trip in her new job, she saw why. In the intensely competitive world of youth travel softball, the Premier Girls Fastpitch national tournament is center stage. It isn't a showcase event, where results are secondary to playing as many games as possible in front of the college coaches in attendance. It is its own prize. And it was well into the under-14 bracket when Wilcox's Birmingham Thunderbolts met the Texas Bombers and pitcher Brooke Vestal, then and now the nation's No. 1 recruit (and soon to be a freshman at Oklahoma). On and on the game went, two pitchers taking over the story the way they can in softball. Wilcox couldn't control whether or not the Thunderbolts scored against Vestal, at least not beyond her own handful of at-bats as a hitter, but she could make sure they kept getting chances. She could make sure the game didn't end. "While Vestal was striking out people left and right, she just went out there and upped her game, too, to keep her team in it," Ricketts recalled. "The biggest thing was just what a competitor she was. I just remember her mixing her pitches, and she threw hard. It was getting ground ball after ground ball, with some strikeouts. I remember how much she was trying to will her team to do it -- you could hear her in the dugout. She was intense, but she was always smiling, too. "It just looked like she loved it, loved competing." Desire alone wasn't enough. It goes that way some days. Vestal and the Bombers won. Ricketts recalled that an error paved the way for the winning run against Wilcox. 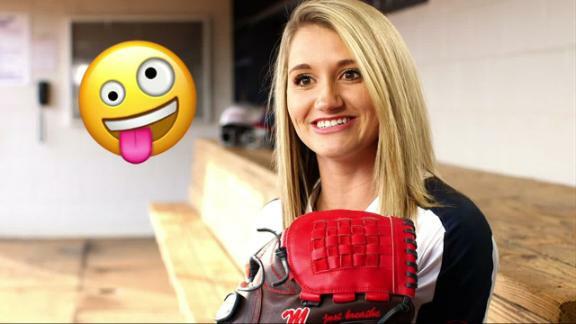 Regardless, the pitcher from tiny Brantley, Alabama, made her point. Already verbally committed to Mississippi State, she showed that she, too, was among the best in her recruiting class. "She was a huge signee for us," Stuedeman said. "A big get -- I mean, like, a really big get." Ask Alex Wilcox what she enjoys beyond softball, and you're sure to stump her. Wilcox was the next generation, a pitcher who would arrive as a freshman just as another ace, Alexis Silkwood, departed. And more than continuity, a recruit like that could change Mississippi State softball. She could give the whole country a reason to know the team from Starkville. As the SEC gathers this week for its conference tournament, the freshman has done that. But not in the way she or anyone else envisioned. Not in the way she would have chosen. 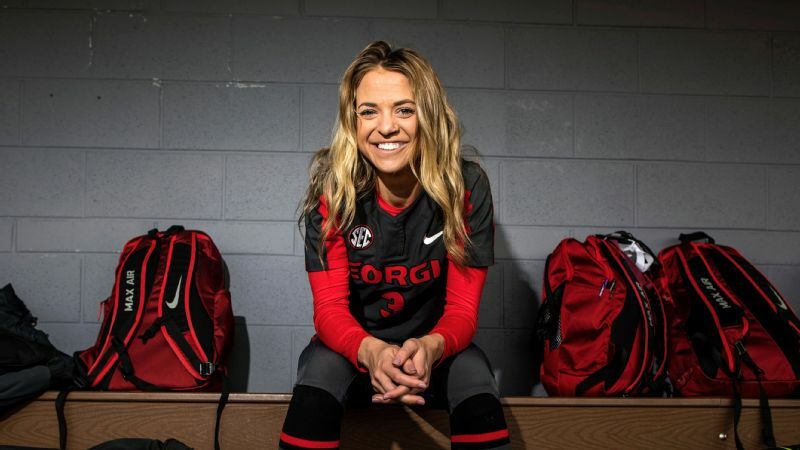 She won't lead the Bulldogs to the title from the pitching circle -- that there was even a chance she would be in the dugout this week was a big deal. 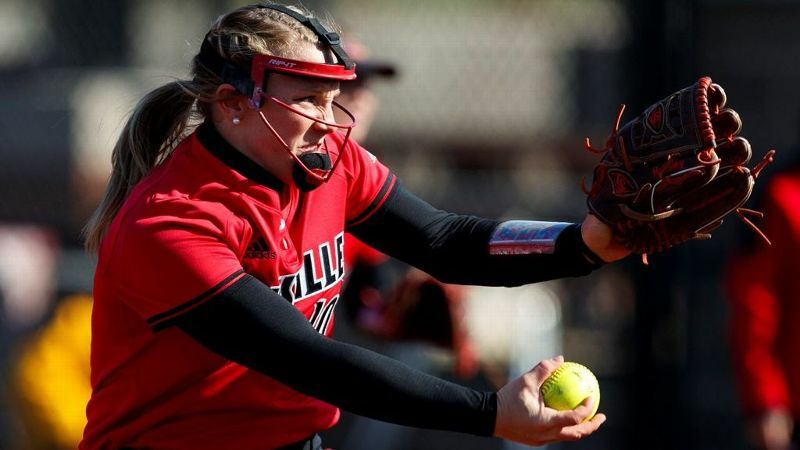 But in 15 at-bats this season, squeezed in around surgery and chemotherapy related to the ovarian cancer she was diagnosed with more than two years ago, she left as big an imprint on college softball as will any win or even title. Not by dominating the competition. But as living proof that you can't lose as long as the game goes on. Ask Wilcox if anything else ever made her feel the way softball still does, if any other interest is intertwined with her identity in quite the same way, and she sounds puzzled. She is unfailingly polite, but after a short laugh, she answers the question in the same tone others might employ if asked to name their second favorite thing to breathe. "Softball is kind of pretty much what I've done," Wilcox said. "That's about it." Who knows what outlet the 5-foot-9 Wilcox might have found in a bygone generation. But in a world in which softball is a fixture in the South, the game was always there. And always a good match. Mississippi State teammate O'Neil Roberson played on travel teams with Wilcox since both were around 12 years old. They forged a friendship almost immediately, but it was equal parts competitive and supportive. On the practice field, Roberson would guarantee she wasn't going to strike out against her friend. She would step in. Wilcox would throw the rise ball. Next time, Roberson then would mutter. Next time she wasn't going to strike out. Always next time. "It's like she was never scared -- it's the same thing in life. But in softball, it's the way she's never scared. Every opportunity, she makes the most of it and never backs down. She always performs to her highest, no matter what. That's what makes her so special." Roberson saw the same reaction when Wilcox found out she had cancer. Roberson was among the first to see her. Those close to her knew by then that Wilcox hadn't felt right for a while. She had back pain. She lost weight. They assumed it was wear and tear of an athlete's life -- Wilcox not only pitched and hit in softball but played volleyball and basketball. But the pain grew so severe over the holidays in 2015 that they went to the hospital. Her friend arrived soon after the diagnosis that followed. Yet Roberson recalled that when she arrived, Wilcox just smiled and told her it would be fine. "I knew it was something that I just didn't have a choice," Wilcox said. "It was something I was going to have to deal with for a little bit anyways, and I was just looking forward to dominating, dominating it in every sense that I could. "So it was just trying to figure out how I could do that every day and still do what I love to do." Alex Wilcox saw action in eight Mississippi State games this season, but her presence was felt in all 55 of them. What followed over the next two years was a sequence that sounds both agonizing and all too familiar when it comes to so many forms of cancer. There was an initial surgery, followed by chemotherapy. When tests revealed another tumor, she had to undergo another surgery and more chemotherapy. During all that, Wilcox played as much softball as she could, sometimes going from chemotherapy to the field. Yet she never doubted that she would go to Mississippi State as planned. So while not just learning her way around campus and buying books for classes but transferring her chemotherapy treatments from Birmingham to Starkville, she arrived at school last fall and sought out the normal routines of college life. Only the worried parents hinted at anything out of the ordinary -- although come to think of it, perhaps that was just one more part of college life. I think I've won over 700 games and I've probably lost over 500 and something. There's a lot bigger picture than wins and losses. "I think the first week they blew my phone up -- which I think is normal," Wilcox said. "I was just like, 'Everything is going to be OK.' I'm kind of -- I don't know how to explain it -- but I'm OK with people not texting me all the time, I guess. I'm independent. "I was like, 'I'm OK, you can calm down.'" She was healthy enough by October to play the team's fall season (NCAA rules allow Division I teams to play up to eight games against teams from a 400-mile radius in the fall). Her pitching days are over, the physical toll too great, but she hit three home runs in the exhibition games, reinforcing the idea that she signed with Mississippi State as a standout two-way talent. "She's going to be a starter for us," Stuedeman recalled thinking. "She really looked good." Again it wasn't to be that simple. Wilcox felt unwell over Christmas. Tests showed another tumor. Surgery was scheduled. Again. All of it again. But again she came back to softball. She enrolled in enough online classes to stay eligible for the spring semester, but almost as soon as she was out of the hospital in Birmingham after surgery in January, she returned to Starkville. On Feb. 15, she got her first official at-bat as a pinch hitter. Three days later, she started for the first time. Another round of chemotherapy then kept the outfielder sidelined for three weeks. She went home briefly when the treatment started but told her mom she couldn't stay, she needed to go back. "I feel like that's how I deal," Wilcox said. "Just not focusing on [anger] -- just focusing on the little things that are so much fun and exciting to be a part of." 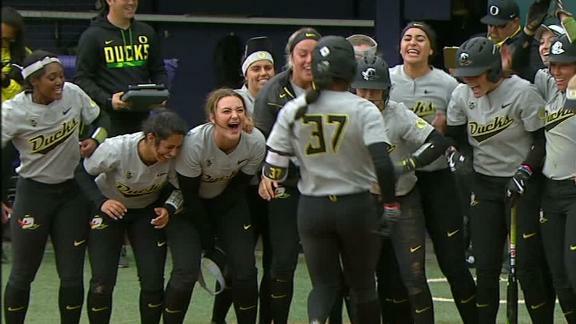 On March 10, her first appearance since that first start and the ensuing round of chemotherapy, she got her first official hit with a sixth-inning pinch-hit single. The last of her at-bats was on April 10. Two weeks later, the Bulldogs stopped on a road trip to Troy University to visit her in the hospital in Birmingham, where she had returned for additional treatment. And so the cycle continues. 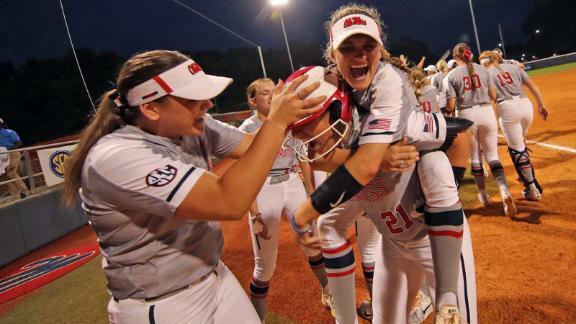 "It's tough to watch, knowing the kind of softball player she is," Stuedeman said this spring when Wilcox played in eight of Mississippi State's 55 games. "I know she's probably struggling with that. But I've tried to treat her the same and tried to have the expectations of her that she would want me to have. Which is hard. I'm maternal -- I don't have any kids myself, but I have that maternal instinct that I want to wrap my arms around her every day and hold her and tell her everything is going to be OK.
"But that's not what she wants from me, and I get that." Mississippi State players have marveled at the courage Alex Wilcox has shown. 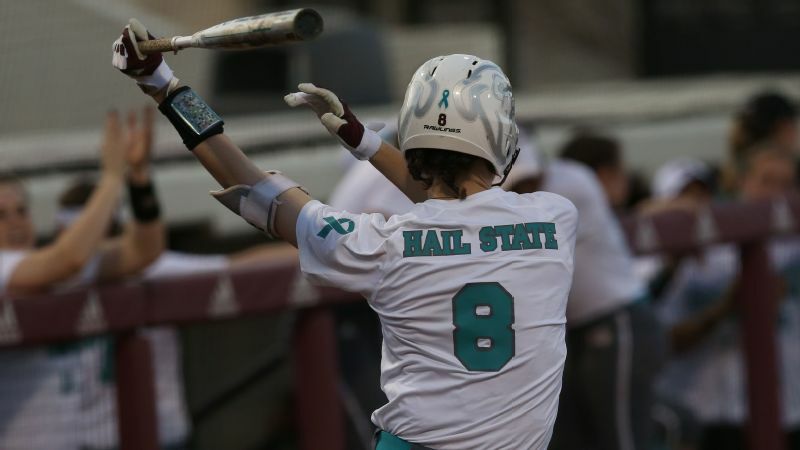 The Bulldogs wore teal jerseys for midweek games this season as part of the "No One Fights Alone" campaign to raise awareness of ovarian cancer. It introduced people to Wilcox's story, but the connection point is as simple as that desire to play. Through the final series of the regular season against Tennessee, when the Lady Vols wore teal socks, SEC opponents stepped out of the role of rival to offer support. Stuedeman said one of the first people she reached out to after Wilcox was diagnosed was LSU coach Beth Torina, whose mother had ovarian cancer. Even teams with little previous connection to Wilcox stepped up. Although he knew Stuedeman from coaching against her in Division II two decades ago, Central Arkansas coach Davis Kuhn first heard about Wilcox through softball's social media grapevine. The story stopped him for a number of reasons. He is from Mississippi. His two daughters, only a few years older than Wilcox, played softball through college. 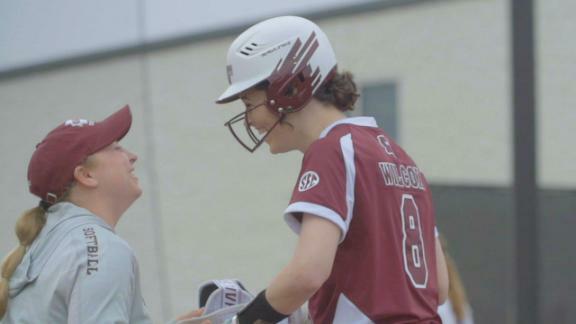 He recruited a player, Missouri State senior Allie Alvstad, who fought leukemia and returned to the field. Kuhn asked his athletic director if the softball team could wear jerseys with Wilcox's name when Central Arkansas played at Mississippi State in March. Central Arkansas then auctioned the jerseys and donated the proceeds to a Mississippi State group able to help with the family's medical expenses. "I think I've won over 700 games and I've probably lost over 500 and something. There's a lot bigger picture than wins and losses. Seeing that girl compete and fight, it's just very inspiring." 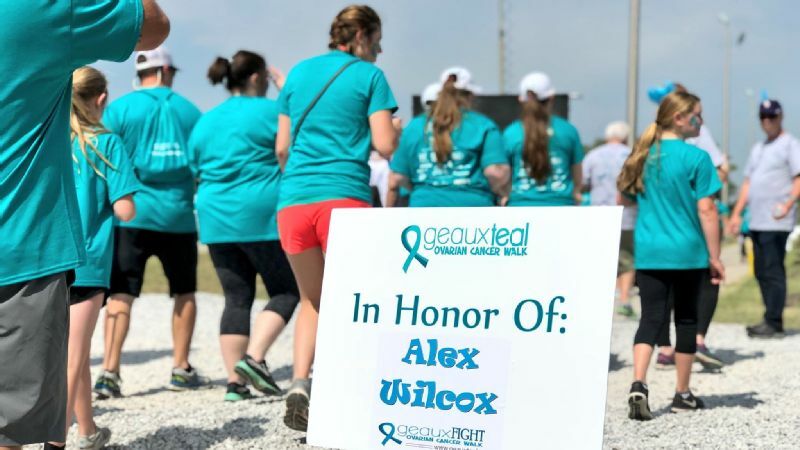 Teams near and far showed their support for Alex Wilcox by wearing teal for the “No One Fights Alone” campaign. Indeed, for all the people offering her support, Wilcox also finds herself offering the same. In letters, emails or just conversations after games, strangers share their own stories and thank her for sharing hers. "I've definitely had to get used to it because I am not the best talker, for sure," Wilcox said. "I definitely don't do good in front of people. So it's been a good opportunity to get over something that I don't really love to do. But it's been awesome to be an inspiration to people, getting to be there for people who maybe had a bad day or are going through what I'm going through." I was just looking forward to dominating, dominating it in every sense that I could. Wilcox is loathe to admit she ever has bad days. Roberson knows better. She understands what it means on those days when Wilcox is quieter than normal. It is her cue to buy some ice cream or ask if her friend wants to go drive around. Or recently, it means it is time for the next episode of "Grey's Anatomy," the long-running show that the two began binge-watching in the dorm. "I feel like she takes fear and turns it into a positive, uses it to push herself forward," Roberson said. "She turned a devastating situation into an opportunity to touch people and better herself. I feel like that's really hard for young -- not many young girls in her situation could do that." 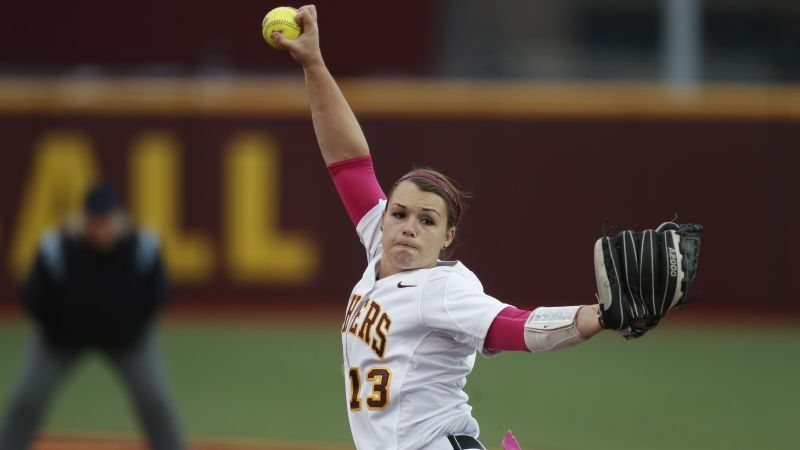 Even at her best, a softball pitcher offers only the illusion of complete control over the outcome. But not even the greatest pitcher on her best day can single-handedly win a game. No amount of will or courage can affect those things that are out of her control. What people saw when Wilcox was in the circle, as on that summer afternoon in the PGF tournament, was someone fearless in the face of that reality. Someone who was darned sure she could make it difficult to beat her. She may no longer be a pitcher, but she is still that person. Is there ever any sense, then, that the next treatment might be the last one needed, that it might be possible to claim victory? "It's not really something we know," Wilcox said. "But it's something we always hope for." Until then, she'll keep the game going.